England pacer Liam Plunkett has revealed that he aims to emulate the likes of Cristiano Ronaldo and LeBron James in the field of sports. 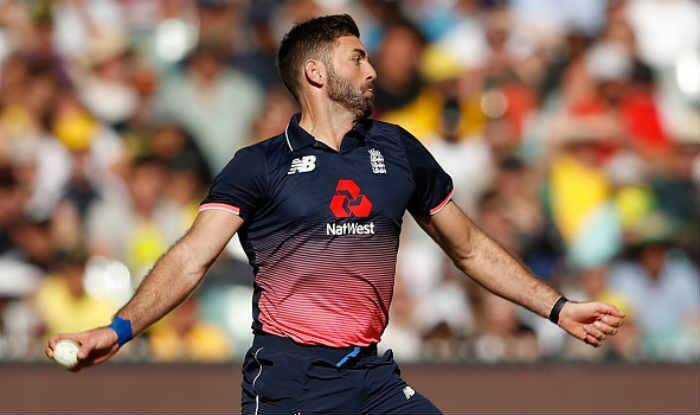 England pacer Liam Plunkett has his standards set high – he aims to emulate the likes of footballer Cristiano Ronaldo and basketball player LeBron James in the field of sports. The 33-year-old has revealed that he is working on regaining his speed and variations while staying fit. Ronaldo and LeBron are two of the best icons in their field of sports, they have won everything that there is to win and set a standard for the coming generation which can only be labeled as borderline ‘impossible’to achieve. “Reading articles about the best sportsmen, (such as) Ronaldo and LeBron James, they get lighter and they get more powerful. That’s something I’m working on because I still want to run up and bowl 90mph,” ESPNcricinfo quoted Plunkett, as saying. “I’m pretty much teetotal for the summer, because this is probably my last chance to play in the World Cup, and I’m looking at my rest and recovery, because sometimes you over-train and when it comes to the game, you don’t always bowl as quick as you want, because you’ve burnt yourself out a little bit,” he said. Plunkett, who is struggling to maintain his pace, is giving his best to get a chance to be in the England squad for the World Cup, beginning May 30. The fast bowler has 116 wickets from 78 ODIs under his belt so far. He was the standout player for England in 2017. “I feel like I should be in that 15. I feel like I’ve played well and been one of England’s best seamers in the last two or three years,” Plunkett said. “I’m hoping they (selectors) will back me because I feel like I’ve done a good job. I feel as fit as I’ve ever been, and I feel like my pace was coming back towards the end of that (West Indies) trip,” he said. Plunkett missed part of England’s tour of Sri Lanka in 2018 due to clash with his wedding. On the tour of West Indies, he returned with impressive figures of 2/8 in the final T20I, while he could bag only one wicket in four ODIs and sustained a foot injury.